In our Windows training courses, we often share information about the Windows 8.1 Mobility Center. Mobility Center was introduced for mobile and laptop devices in Windows 7. It’s present and somewhat enhanced in Windows 8. A lot of the standard user settings, as we’re familiar with Windows 8 and 8.1, are handled by the Charms Bar. Now in this studio classroom, I’m remote‑desktopped to my Windows 8.1 box so that I have the latest configuration, but that’s not how we configure Mobility Center. 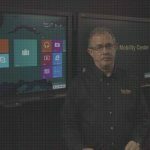 Let’s go through a couple of slides, talk about a little bit of content here, briefly, and give you an overview of Windows 8.1 Mobility Center. I did a screenshot of Mobility Center here because Mobility Center is, to a high degree, context‑sensitive like so much other content on Windows 7 and Windows 8. Here on my Windows 8.1 box, I’m going to type “Mobility Center.” I see it says “Windows Mobility Center,” so let’s click that. You’ll note because I’m remotely connected to my system, while I’m remotely connected to my system, I see a diminished set of options compared to the screenshot that I’ve got on my slide. The primary landscape panel or tab that you see on my Mobility Center is because I do have a touchscreen system that has the ability to rotate from portrait to landscape. Because I’m remotely connected from a desktop to my laptop, I don’t have that ability to rotate this screen and therefore that option is missing. So even Mobility Center, to a high degree, is contact‑sensitive. Let’s walk through the options that I do have. I have the ability to alter the brightness of my display. The ability to mute, unmute, change or set the volume settings for my speakers on my mobile device, whether they’re internal speakers etc. The ability to take a look at my battery or my power status and identify whether it’s plugged in or not. In this particular instance, I do have my laptop plugged in so that I have a consistent remote connection to it while I’m doing this demonstration. If I had an external display, for instance with my laptop, I’m hooking it to a projector or to another computer monitor etc.., I will have the ability to connect and disconnect that display with a single click of a button using the mouse or if it’s touchscreen, by simply tapping it. So I can connect or disconnect the display. Remember the challenge of all the different laptops where you’ve got to hold the function key down and figure out which of the function keys turns on or off that external monitor? They’ve built it in as a software connection, so all I have to do is tap the button and it knows the configuration of your particular system and how to do that. Because laptops and notebooks often have synchronization to other devices, whether it’s offline files or other synchronization partnerships, I can click Sync Settings. And go directly to the Control Panel and set up synchronization on my desktop from the Mobility Center. I also have the ability to turn on or off presentation mode. Think about presentation mode for just a moment. You’re on a laptop or a notebook. You’re a third‑party, and you want to be able to set up your laptop for presentation mode so that you don’t pop into a screen‑saver. Your power settings are disabled so for no reason do you suddenly shut off any of your resources such as your nic, screen, hard drive etc… Even if you’re on battery mode, you don’t want to just pop into some of those other instances of protect the system, protect the laptop. Perhaps you’ve configured it so that it always goes to an external projector, so that you don’t have to even think about it when you turn it on or off. If I turn on and off presentation mode, it’s just a click of a button. That’s not really where we go for configuring presentation settings. We’ll talk more about that in just a moment. The challenge that is often asked of me in the classroom for several different individual support Windows 8.1, or even Mobility Center in Windows 7 for that matter is, if you have Mobility Center enabled and turned on. Any time you start to have low battery settings where you might go into screen‑saver or it detects the presence of an external monitor or an external projector, Mobility Center will keep popping up on you to ask you, or offer you, the opportunity to do your configuration settings right through that Mobility Center panel. That can be annoying to people who are doing work and having Mobility Center pop up. If you don’t want to use it, you have the ability to disable it, either directly through the registry or through Group Policy. Let’s take a look at those for just a second. In Windows 7 in particular, there’s a good TechNet article Windows Vista Mobile Device Center Step by Step Guide, you can go take a look at it. I’ve launched Registry here, or I had Registry on. Let me shut that down. I’ll launch the Registry Editor remotely to my desktop. Now I’m going to type “regedit.exe.” for Windows 8 and I’m going to right click and make sure that I’m running as an administrator. If you say, NoMobilityCenter and set the value to “1” that will permanently, or at least until the Registry’s changed, that will disable the use of Mobility Center on your laptop. It won’t appear on the desktop, at any case. If you want to turn on Mobility Center on a desktop device, you can go into the Registry. This is Windows 7 only. Create a 32‑bit DWORD called MobilityCenter and set the value to 1. That will let you use Mobility Center on a Windows 7 desktop box. I decided to go and take a look here, under Windows 8.1 on my laptop that has Mobility Center enabled and I’m going to select “Find” from the very top. I’m actually going to look for any key called MobilityCenter in my entire Registries. Let’s let it do a search for just a second. It says Microsoft Mobility Center is a System Application. If I continue to do my Find Next for it, and hunt down through here, I will just share with you that you will not find the key MobilityCenter. The configuration of the registry inside of Windows 8.1 is different than the documentation for Windows 7. I’m just saying this so that I can show it to you, although the TechNet Windows Vista Mobile Device Center Step by Step Guide will talk about Windows 7, Windows 8, Windows 8.1 Mobility Center through the Registry. It’s a very different Registry configuration in 8.1, at least per my research. Consequently, do not use what the TechNet article suggests for Windows 8 or 8.1 in order to enable or disable Mobility Center. I want to make that clarification. If I scroll down to the bottom, I should look for “Policies.” If I go and take a look at my Policies and expand it, there is no key under Policies. They’re suggesting that you go ahead and create one. You would right click and say “New key”. And under here you create a key called MobilityCenter. If you were to follow the TechNet article for Microsoft Windows 7, enabling Mobility Center if you don’t find it. You’ll note it doesn’t exist on my box, on the Windows 8.1 box, and I have Mobility Center enabled. I don’t really want to create this key. I’m just going to essentially delete it because I don’t want to leave garbage behind in my Registry. All of you will find TechNet articles that point to the use of the Registry in order to be able to disable or enable it. I’m encouraging you, until we find updated TechNet information that talks about the differences and using the Registry directly for Mobility Center, to just bear without it on the Windows 8, 8.1 desktop. What you can do to control Mobility Center, if you’re concerned it constantly popping up, is that you can manage to turn it off, to disable it through the Group Policy. That’s local site, domain, or OU‑based group policy. Let’s go back over to my desktop and type “gpedit.msc” so that I can edit local group policy, for an example. I’m going to go ahead and start the local Group Policy editor, here. I’m logged in with administrative rights, so it should let me do this. If we go and take a look at this, we’re now going to look under “user configuration” because that’s where we find Mobility Center. “Administrative Templates > Windows Components”. There’s only one entry here and that’s to disable Windows Media Center from running. 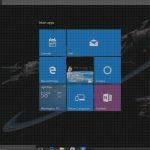 You can enable the command and that policy setting prevents Windows Media Center from ever launching. If people say “Hey, I don’t like it,” rather than trying to use the TechNet article for Windows 7 and disable it through the Registry, you have the ability to do that from Group Policy. That’s an overview of configuring, at least disabling Mobility Center. It’s there by default. It’s context‑based. There is no obvious way to uninstall or to remove it. It’s not present as one of the Windows features that you can turn on and off. It’s there by context on a mobile device. Let me point out one more setting that’s rather important. Because I showed you Mobility Center when it comes up, and I showed you just by clicking a couple of times, turn on and turn off of the presentation mode. If I try to click down below where it says “Presentation settings,” these are only labels. They’re not configuration tools. What I really want to do to configure Mobility Center is to go to my Control Panel. Let’s quickly go to Control Panel and, to follow along here, we want to go to Hardware and Sound. I’m going to click my Hardware and Sound link. Under Hardware and Sound, it says “Windows Mobility Center.” If I click Windows Mobility Center. I’m going to launch that same panel that I had up a moment ago. It says, “Adjust commonly used mobility settings.” When I click that, it also launches for me that same panel. If we click that one, this allows us to configure the behavior when we turn on and off that presentation mode. If you click “I am currently giving a presentation,” what that says or allows presentation mode to do is…Once you decide you’re going to do that, it causes the computer to stay awake, and any sleep or hibernation settings are ignored during the presentation. That means turning on presentation mode disables any of the power settings, any of your screen‑savers, etc… Or any notifications or pop‑ups that you might have. We’re talking, going into Action Center where you would typically have messages or notifications pop up to you. If you have it such that your email client will pop up a notification any time you get an inbound message, those will be disabled. All you have to do is select the check‑box and any of the little pop‑ups or screen interruptions that might occur will not occur. This does not disable User Account Control or security features, but it does disable the general messages that might occur. You can choose specifically, in addition to make sure that no screen‑saver turns on, you can set a default volume with your speakers, particularly if you have external speakers you use for presentations. If you want, although you might have your pet, your family or other pictures as your desktop, when doing presentations, you might choose to have your desktop be the corporate logo. Or some other professional background that appears when you shut and open different documents or show different slides. If you want, you can actually change the default background and change the screen resolution for that background so it’s centered, or an icon across your screen. Then you would only see that background, that desktop, and that particular configuration of that desktop when you click on and off in presentation mode. Let’s go ahead. I have a picture here of an entry way from “The Hobbit,” a hobbit hole. I’ve changed my settings there. Now if I go back to Mobility Center you’ll note what I’ve done is changed the desktop. If I go in and out of Mobility Center ‑‑ let’s go ahead and launch Mobility Center again ‑‑ I can turn on and turn off presentation mode by simply clicking this. The configuration settings that I selected from this adjust presentations are what will take effect on my system after I save this. There’s an overview of Mobility Center and configuring Mobility Center on your Windows 8.1 mobile platform. 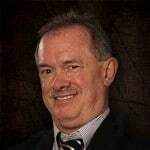 Steve teaches PMP: Project Management Fundamentals and Professional Certification, Windows and CompTIA classes in Phoenix, Arizona.